Hi! My name is Sophia McDermott. I am Australia’s 1st female black belt. My mission is to promote women’s bjj and help women see how strong and powerful they are. When and how did you start doing BJJ? I love that this sport is an active meditation and you get right in ‘the zone’ . It is place where you can totally lose yourself. But it is also a place where you are constantly tested. Here you learn all about humility, resilience, motivation, discipline, goal setting etc that you can apply to life. Just out of curiosity, which is your BJJ team? I built the team gym and association Drysdale JJ/Zenith with my ex husband but left it all in the divorce. I now train at Cobrinha Las V egas. But my career is actually all represented under my own thing where I teach seminars and camps as SophiaFIT, and I encourage all and everyone to be a part of this regardless of association or team. And when did you become mum? I had Athena in 2011 and then Clio in 2013. I was actually either pregnant or breast feeling for 4 years straight and competing during this time also. It was very difficult. You run your own business Sophia Fit, right? Tell us about it. 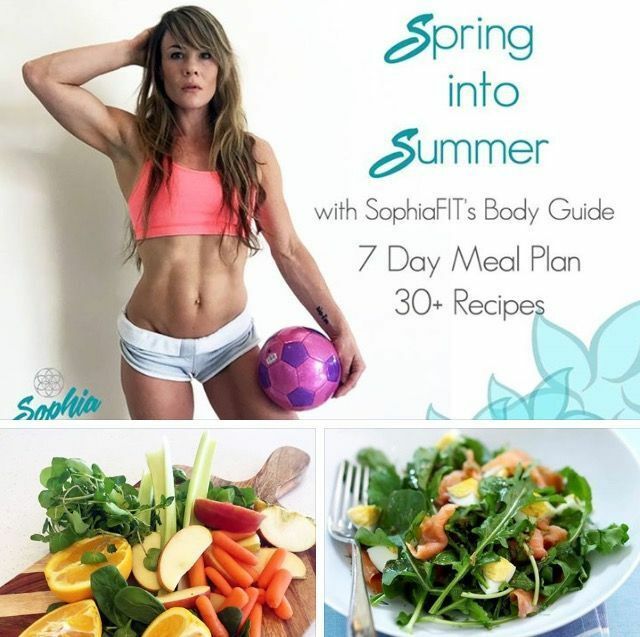 My Mission with SophiaFIT is to empower others (in particular women) on their health and fitness journeys. I teach camps, seminars and I also have online clients all over the worlds where I write up personalised diets and workouts. The vast majority of my clients are BJJ ladies who train their asses off but can’t seem to shed those last few kilos or ladies who have had babies and want to get back in shape to be able to train. I do a lot of home workouts for new mothers. I also help athletes cut weight safely for tournaments. I do have male clients too. When I am teaching women’s workshops or camps I focus strongly on the element of ‘calling the shots’ and taking the lead in your training journey and in life’. I truly want to encourage all women to ‘be the star of their own life’ rather than being just the supporting role. Too often women give away their power. How do you manage to combine both: job and family? All I do is work and when I am not working I am being a mother. I often juggle both. I delegate concentrated time for my girls and then time for my work. It is tough and most non parents will ever know how hard it is. Are you still an active competitor? No. Honestly my purpose of competing was to put myself on the map enough to do what I really wanted to do which was to teach and have a big enough reach to share my message. As amazing as competing is I realised I have a different purpose. I also know that by carving out a full- on career for myself in BJJ which up until now is something that only the men have done (and mostly academy owners at that) has a much bigger impact on the ladies. All my life I have refused to conform to social conditioning. Why can’t a woman run a business in BJJ? Why can’t she travel the world and teach seminars? Why can’t she be a mother and compete? Why can’t she teach men? There is no reason why we as womencan’t do this. It is only our social conditioning, and our own limiting belief systems that stop us. My work and kids take priority. I am putting everything I can into building an empire… not just a small business. So unfortunately it is my own training that suffers. I train around 3-4 days per week. Do your kids practice BJJ too? Yes they do. I have daughters and i think this is important on two levels. One for the practical aspect of learning techniques to defend themselves, and the other to develop confidence. What are your next professional projects? I have seminars and camps lined up until the end of the year not just throughout USA but also worldwide. I am teaching the BJJ program at the UFC gym which is really quite a big deal… but once again I am smashing the concept that these types of roles must go to a male practitioner. I do plan on competing in the USA Nationals for Figure if everything goes as planned. I just released my new 7 Day Meal Plan book. I launched this because I have been unable to reach everyone who has wanted to do personalised diets with me. The book is still a really great head start and all the recipes are my own and food that I eat on a daily basis. I am working on building a whole ‘Lifestyle Package’ that has a meal plan, workout videos and stuff for reducing stress and staying positive and empowered. I am also writing for more and more very reputable health and fitness magazines. 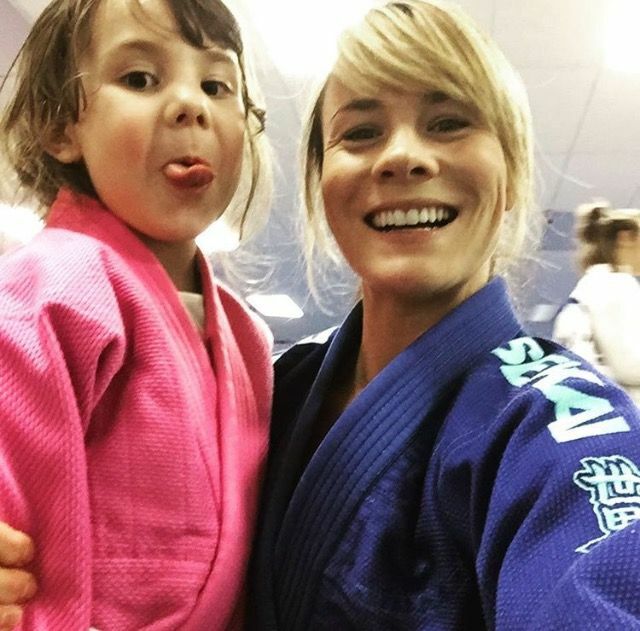 What do you advice for female BJJ practitioners that have become mum and want to keep training? Any special tip? OMG I could actually go on about this forever. I have found that women give to everyone else and leave their own needs for last, over and over. All the things that define who they are, no longer exist. 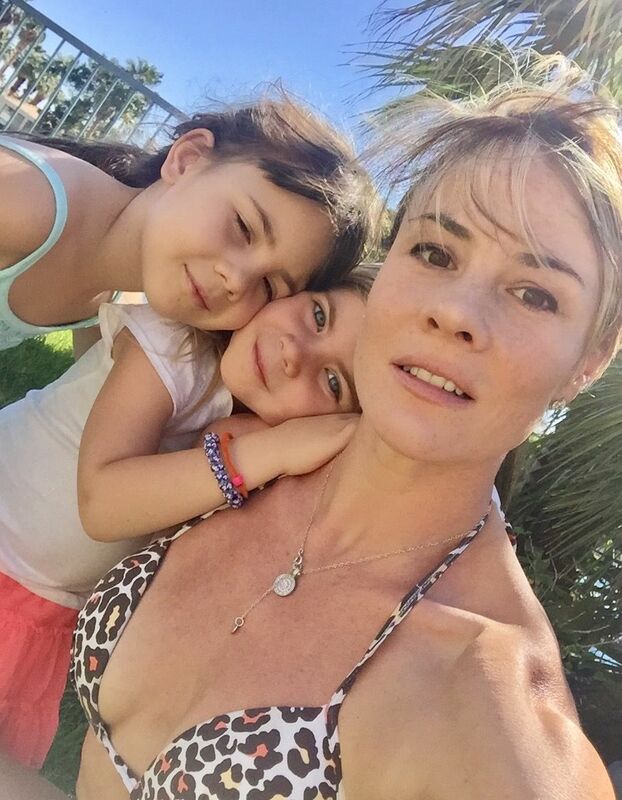 The overwhelming amount of mothers I have spoken with throughout all my travelling and teaching, I am certain that there is a link between postpartum depression and a loss of identity.